When you want to ask us questions, get advice or make site changes easily. Clients who are very busy or don’t want to spend hours trying to edit their website, and require marketing or technical advice from time to time. Your hours are valid for 12 months from date of purchase. How do you track time spent? We use Toggl, a leading time tracking software, to ensure every minute of your time purchased is tracked and used effectively. What minute do you round up to? Time is billed in 15-minute increments. Our team will keep your site secure, up-to-date and backed up. Clients who want to decrease the chance of their site getting hacked or deleted, and don’t want to do the technical security work themselves. Where do you store the backups? Backups under the Basic Security plan are stored in the eChimp company cloud. How is auto billing handled? Can I cancel? It will be charged once a year on your sign up date (ie whatever today’s date is). 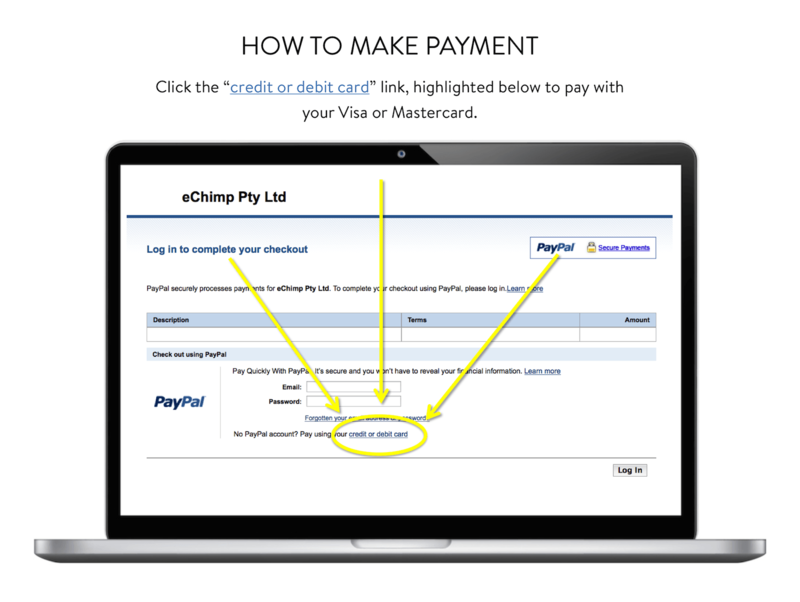 On your credit card statement / bank account it will show up as “PAYPAL *MYWEBSITE”. If you ever want to cancel simply contact us with your details and we’ll take care of the rest. Your cancellation takes effect once the current period finishes. We sure do. If your site gets hacked or infected by malware and we can’t restore your site from the latest quarterly saved backup copy, we’ll refund the cost of your subscription for the year. Please know that it is highly unlikely this will ever happen, but in the event that it does, we want to ensure you are covered! Protect your site with all-year-round support. Clients who want to protect their site all year round against downtime, hacking and lost data, and receive technical support from our team. Backups under the Advanced Security plan are stored in the Automattic company cloud, which is very safe and secure. Automattic are the creators of WordPress and many other large companies. We sure do. If your site gets hacked or infected by malware and we can’t clean or restore your site from a saved backup copy, we’ll refund the cost of your subscription for the year. Please know that it is highly unlikely this will ever happen, but in the event that it does, we want to ensure you are covered!